ABC's Sunday Fun & Games Airs Sundays Beginning at 8|7c! ABC's "Sunday Fun & Games" is here all summer long on Sundays beginning at 8|7c. Celebrity Family Feud, The $100,000 Pyramid and To Tell the Truth are back with new celebrities and fun for the whole family this summer. Steve Harvey, Michael Strahan and Anthony Anderson return as hosts for each of their respective shows. So let the games begin! Yes, three of America's favorite game shows are back for ABC's "Fun & Games" SUNDAYS on The ABC Television Network, streaming and on demand. WATCH THE CELEBRITY FAMILY FEUD EPISODES HERE! Celebrity Family Feud (8:00 – 9:00 p.m. EDT): Hosted by television personality and best-selling author Steve Harvey, Celebrity Family Feud returns for its fourth season on ABC. A celebrity version of Family Feud, the 10-episode series will feature celebrity families and their immediate family members or their extended TV families, competing against each other to have fun and win money for charity. Celebrity family teams that will be playing for charity this season include the following: Team Kardashian vs. Team West, Steph Curry vs. Chris Paul, Ice T & Coco vs. Vivica A. Fox, Tori Spelling & Dean McDermott vs. Amber Riley, Team Grey's Anatomy vs. Team Station 19, Team NBA on TNT vs. Team MLB All-Stars, and Laurie Hernandez vs. Shawn Johnson, amongst others. The $100,000 Pyramid (9:00 – 10:00 p.m. EDT): Hosted by Good Morning America co-anchor Michael Strahan, The $100,000 Pyramid is the timeless word association game in which two celebrities and their partners face off in a race against the clock to make it to the winners' circle and take home $100,000. 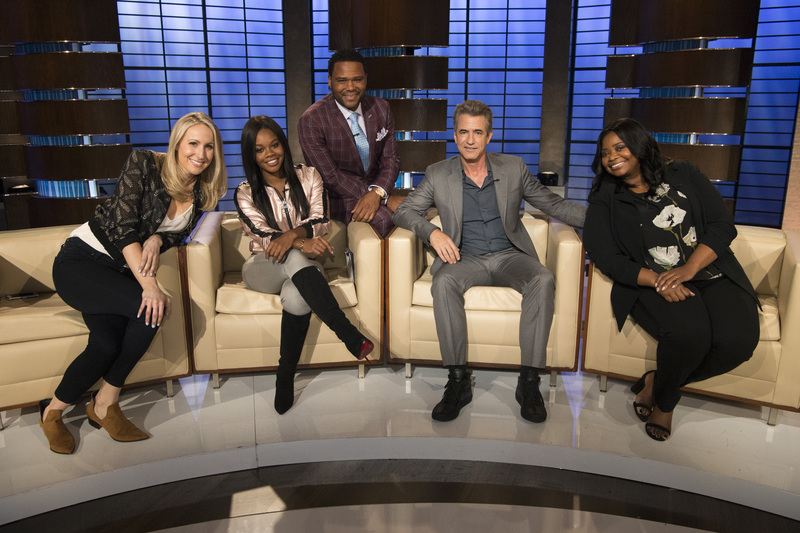 To Tell the Truth (10:00 – 11:00 p.m. EDT): Hosted by the star of ABC's hit comedy black-ish, Anthony Anderson, To Tell the Truth is a funny re-imagination of the beloved game show that first aired in 1956. This version takes the excitement to another level, featuring fun characters from pop culture. Anderson's mother, Mama Doris, is also part of the fun as a commentator. WATCH THE TO TELL THE TRUTH EPISODES HERE. HONEST!